​Roy Hodgson has moved to play down rumours linking Crystal Palace star Wilfried Zaha with a surprise move to Borussia Dortmund. With the Bundesliga giants having agreed a deal this month which will see winger Christian Pulisic complete a move to Chelsea in the summer, Dortmund are apparently seeking potential replacements for the USA star. ​Palace forward ​Zaha has subsequently been linked with a potential switch to the Signal Iduna Park. However, as quoted by ​Ronan Murphy, Hodgson said on the rumours: “There has been absolutely no dialogue whatsoever between ​Borussia Dortmund and Crystal Palace. 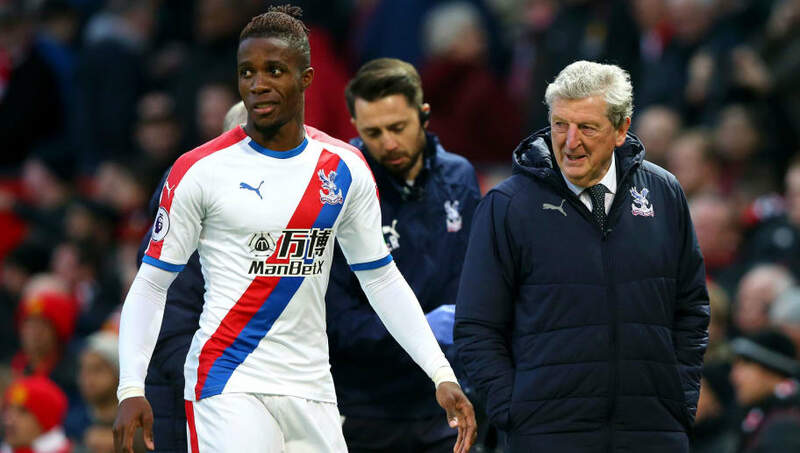 Zaha has once again been a key figure in attack at Selhurst Park this season, featuring in all but three of the Eagles’ Premier League matches under Hodgson. However, with just three goals to his name this term, Zaha is behind Luka Milivojevic and Andros Townsend, who currently lead the club’s scoring charts this season with six league goals apiece. Dortmund have generally favoured Jadon Sancho and Raphael Guerreiro as their preferred pairing on the wings in recent weeks, with Pulisic playing a bit-part role for the Bundesliga side under Lucien Favre this term. However, the 20-year-old’s impending departure will see Dortmund lose one of their brightest young talents, with Pulisic having immediately re-joined Dortmund on loan for the remainder of the season, following the completion of his deal to join ​Chelsea. With Zaha remaining the star man at Selhurst Park, any attempt from Dortmund to prise the 26-year-old from Hodgson’s grasp at Palace would likely require a hefty fee.